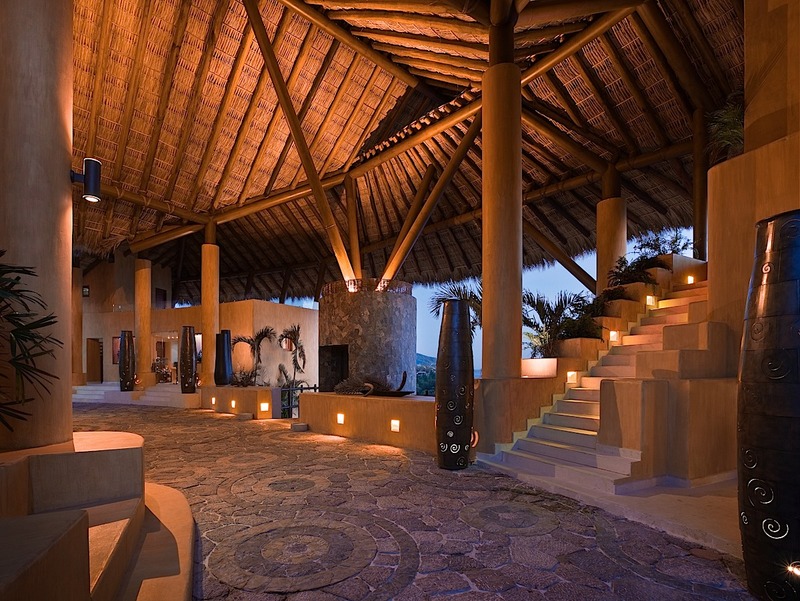 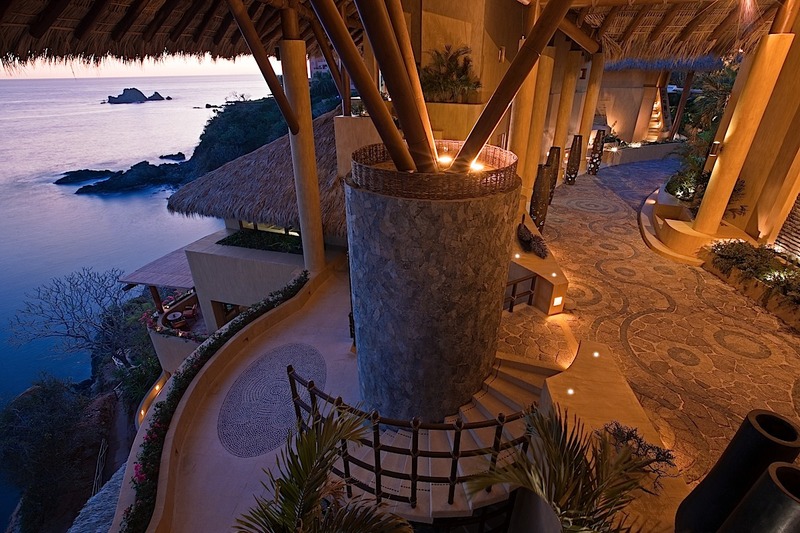 From the moment you arrive at this luxury resort, you will be immersed in the Capella Ixtapa experience. 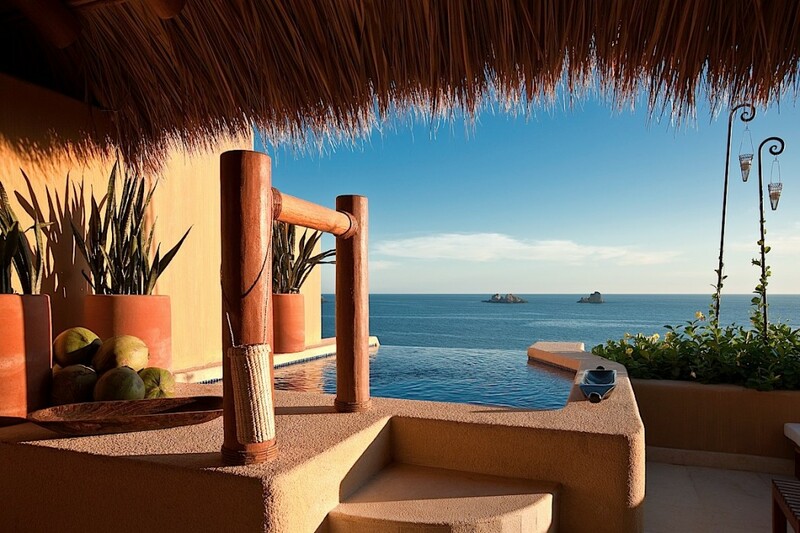 An open-air reception area welcomes you and warm breezes from the Pacific Ocean soothe you immediately, transitioning you to the extraordinary adventure of a vacation at Capella Ixtapa. 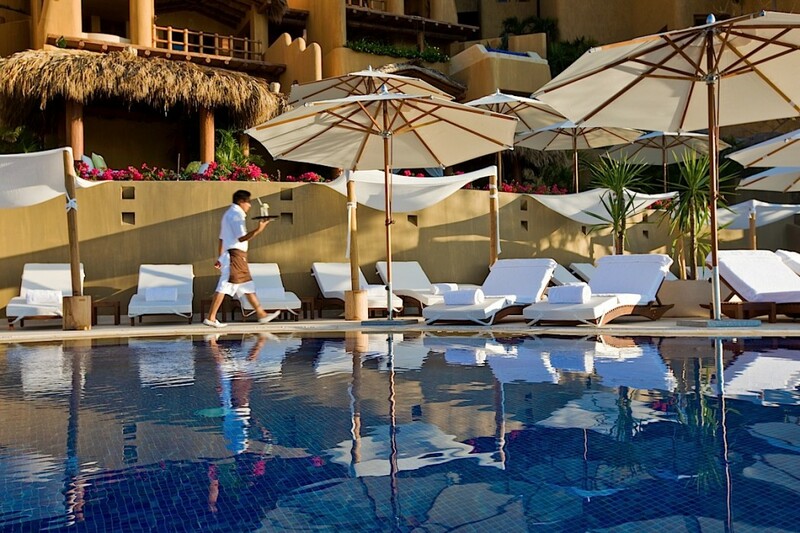 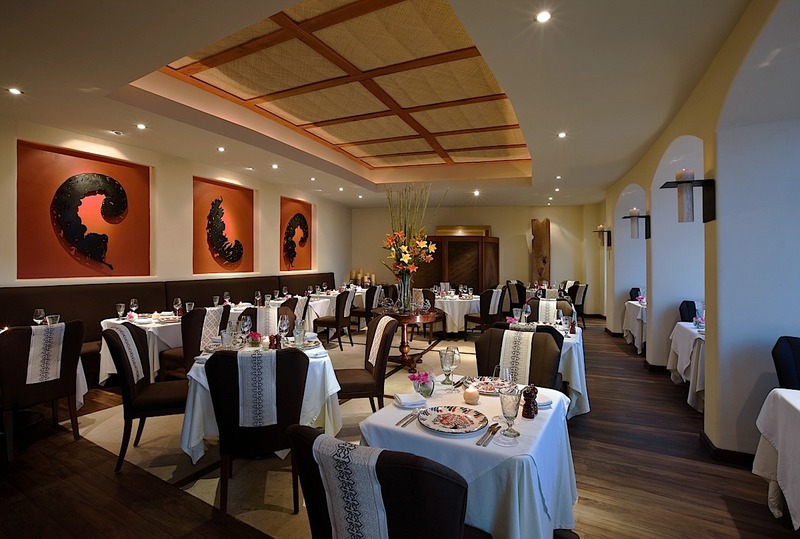 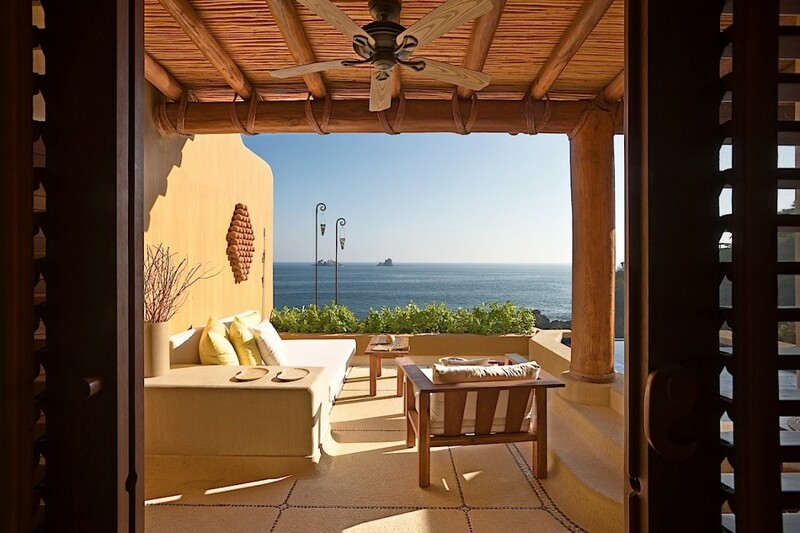 At Capella Ixtapa you will notice the wonderful intermingling of modern and traditional Mexican touches. 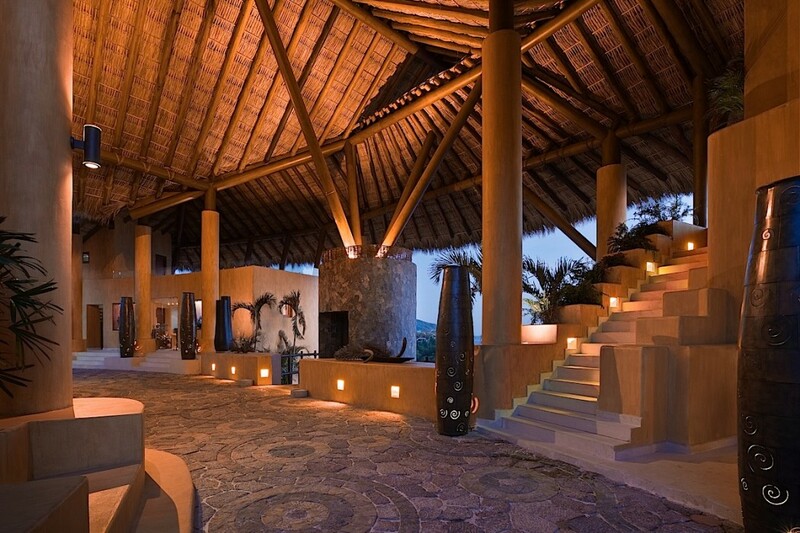 The texture of handmade clay and stone meets sleek marble and polished hardwoods. 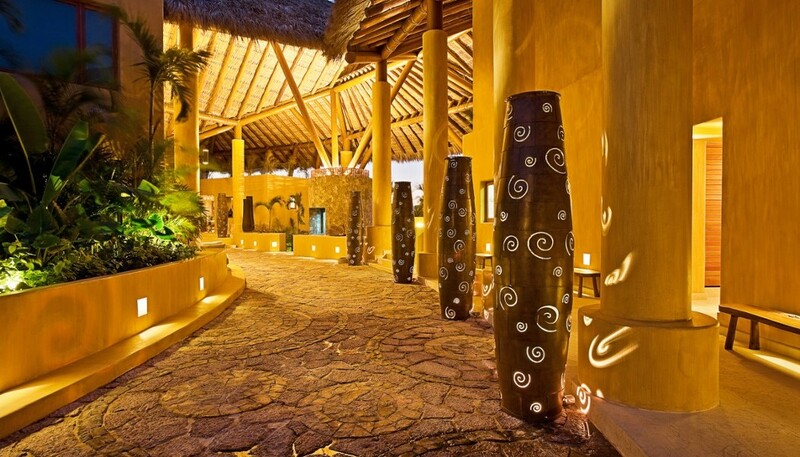 This method of construction, honoring the vast heritage of our locale in a cosmopolitan way, has become a Capella Resort trademark. 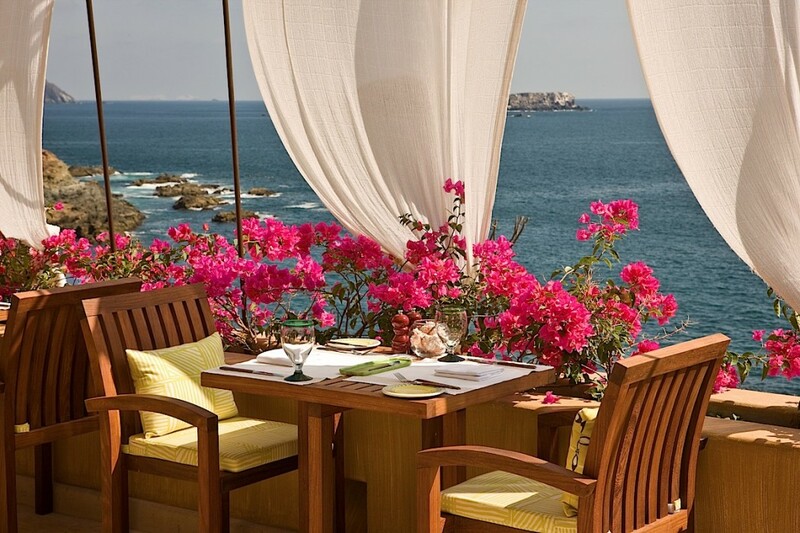 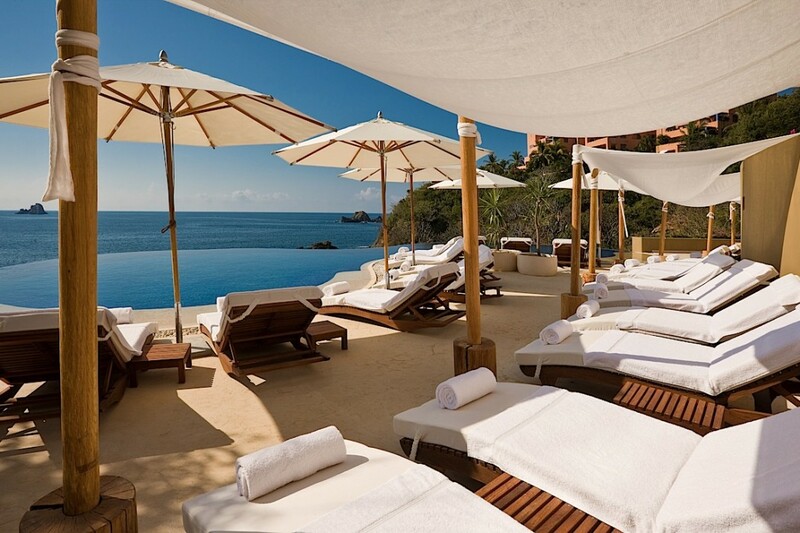 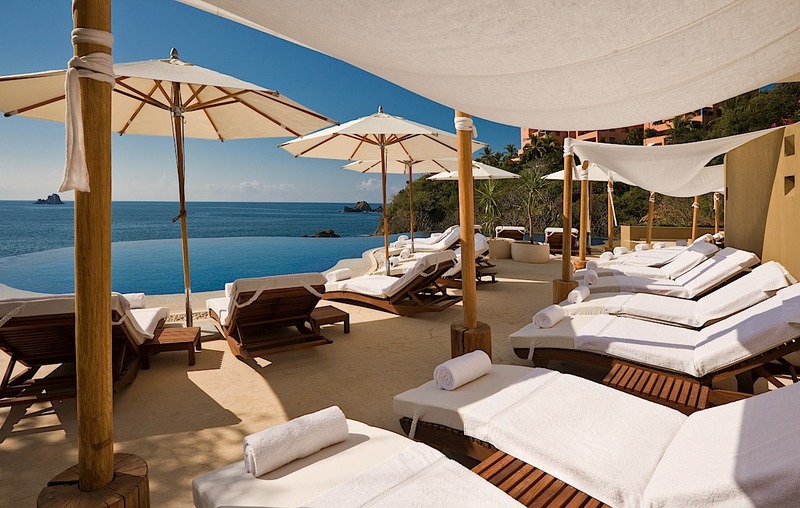 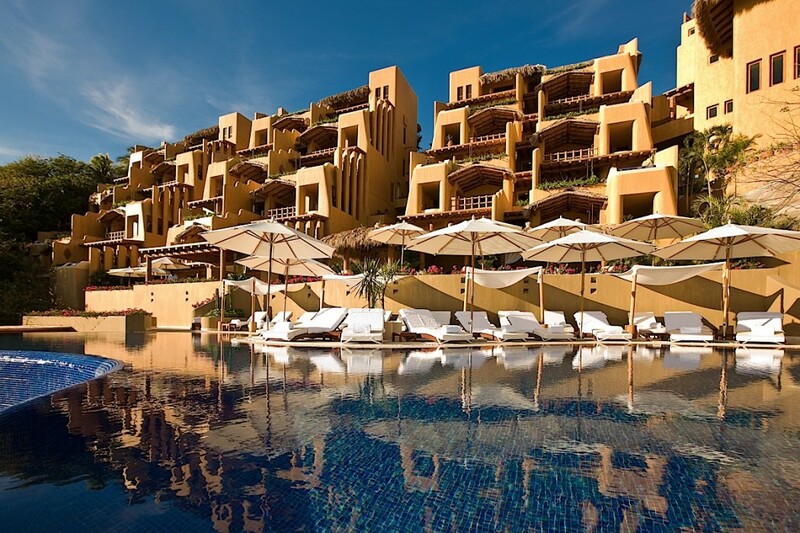 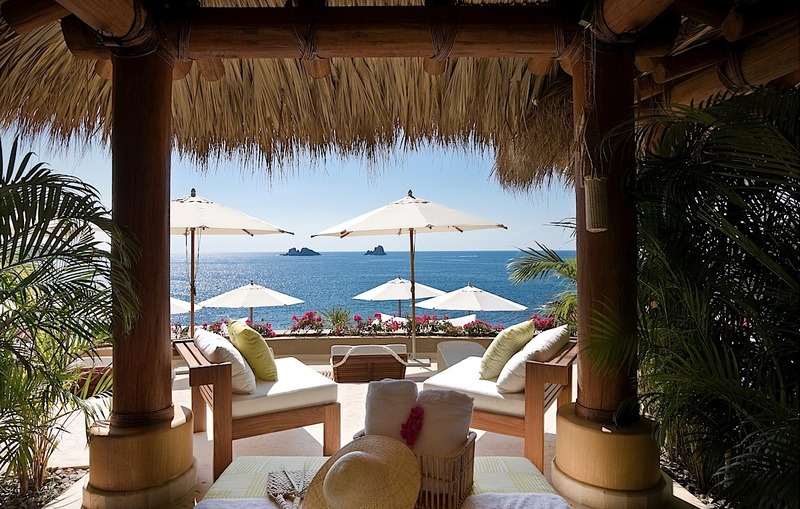 Location: On the Pacific Coast of Mexico, 100 miles north of Acapulco, is the breathtaking Capella Ixtapa resort. 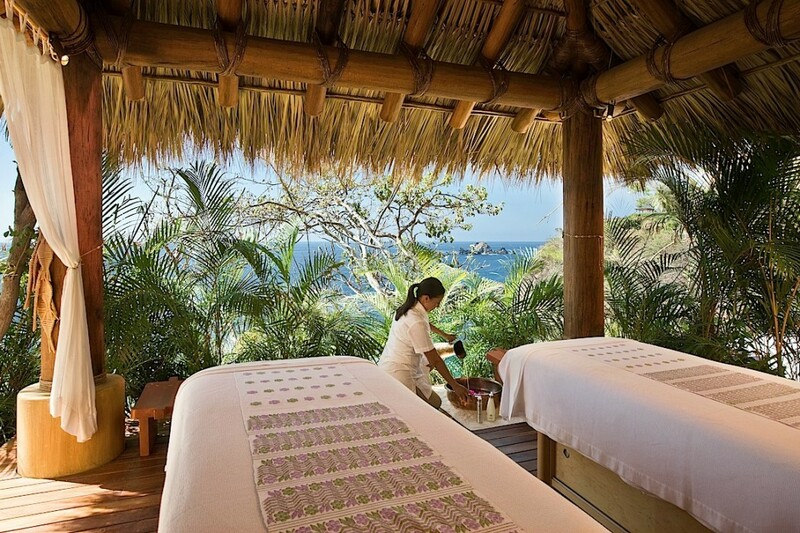 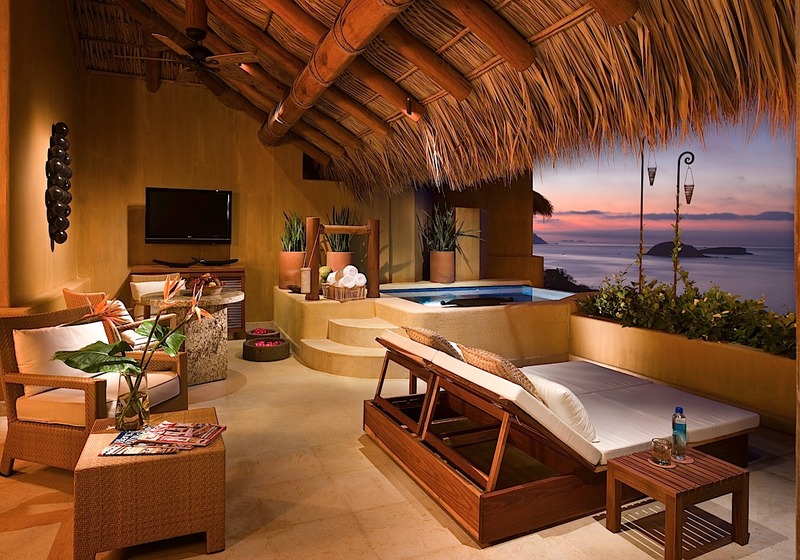 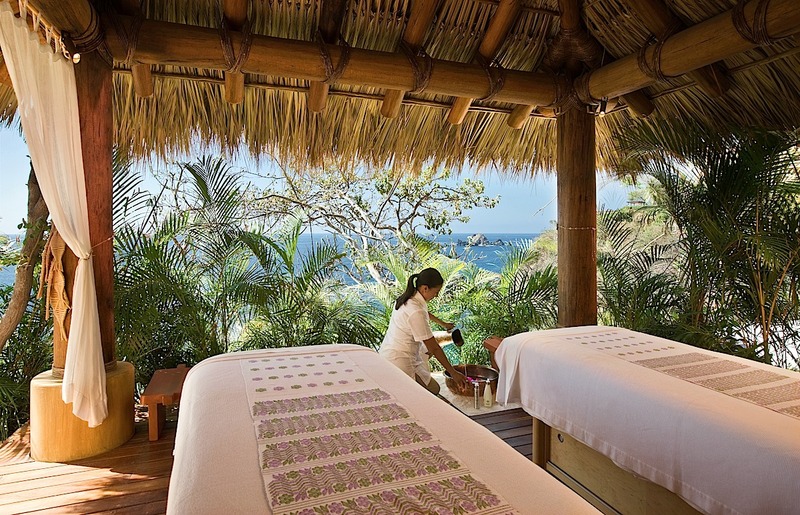 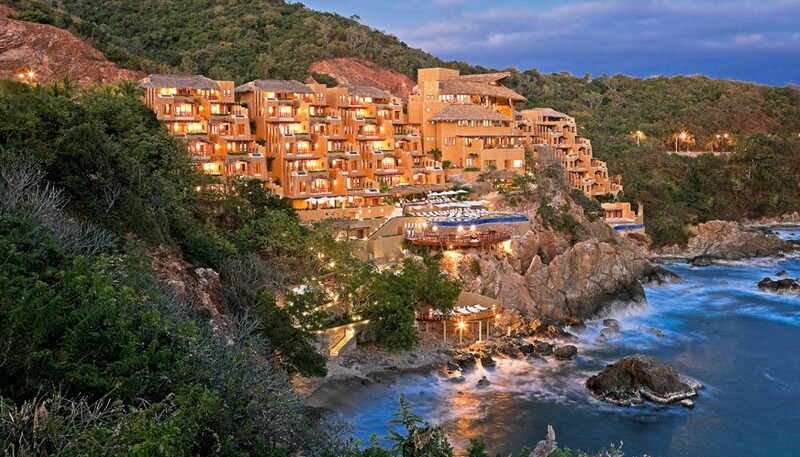 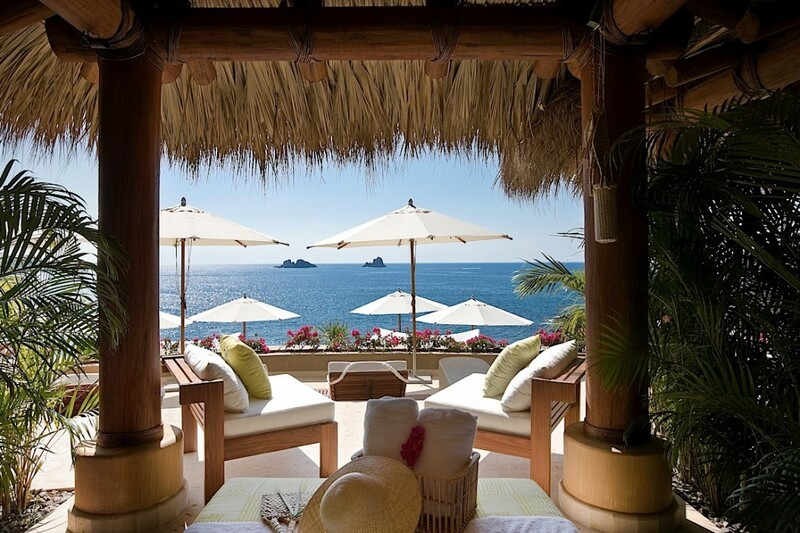 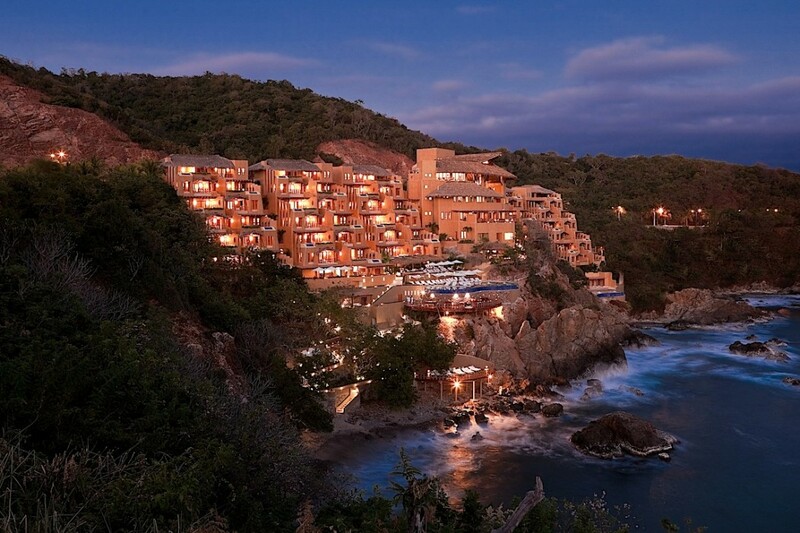 Constructed on a cliff side overlooking the ocean, Capella Ixtapa is a true tropical wonderland. 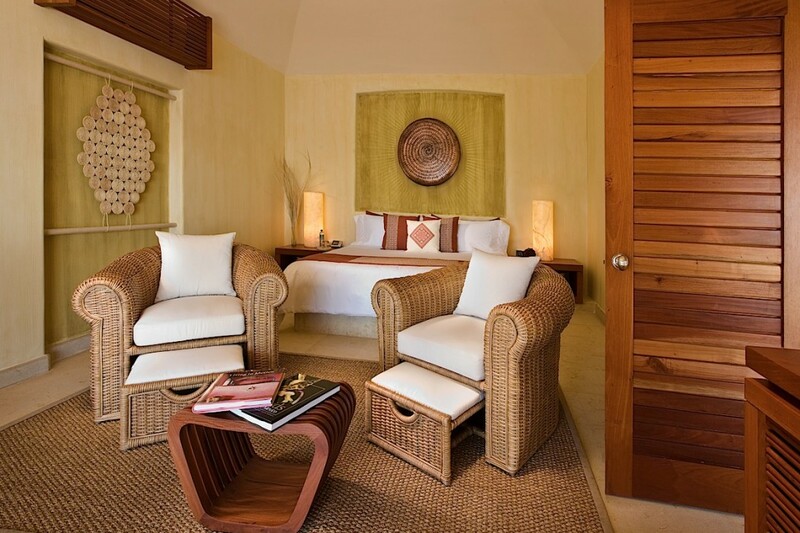 Rooms & Suites: With 59 stunning rooms, the resort offers complete modern comfort and luxury, and caters to your every desire. 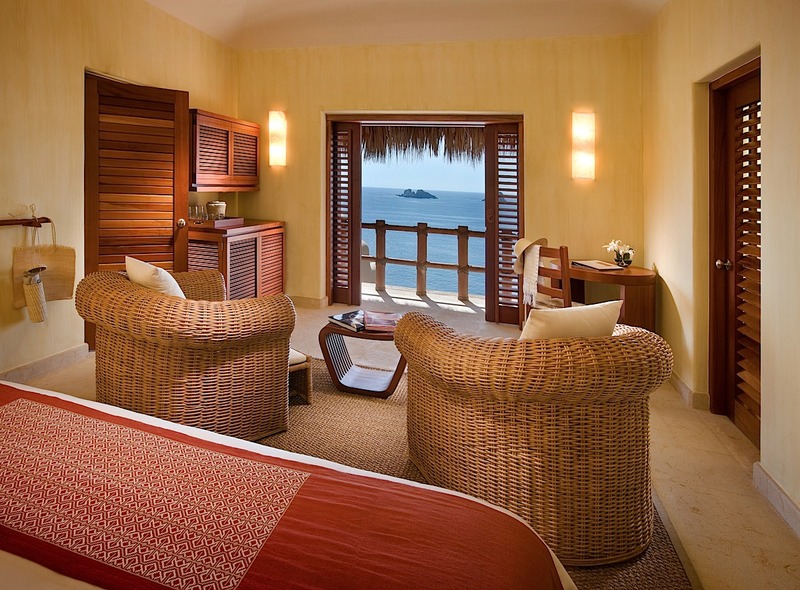 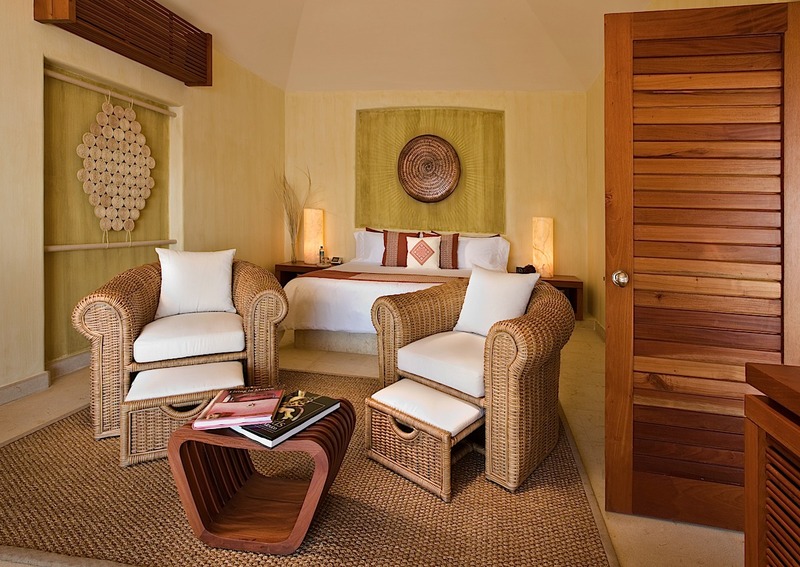 Each room has a beautifully appointed master bedroom, living room with doors opening to private terraces, and stunning views of the white sand beaches and azure Pacific below. 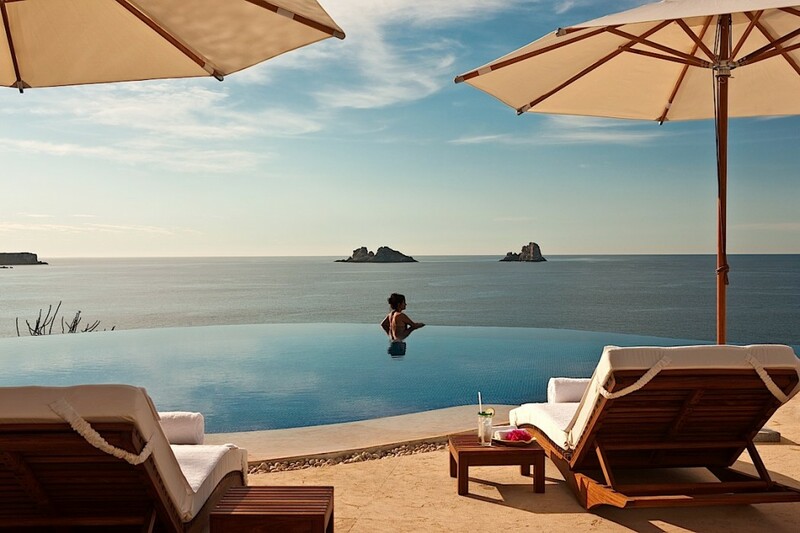 With rain showers, in-room whirlpool tubs, and all the modern technological accouterments, your stay at Capella Ixtapa will be as majestic as the sun setting over the beautiful Mexico horizon. Facilities & Activities: With all of the benefits of a planned resort stay, Capella Ixtapa offers a wealth of Ixtapa, Mexico resort activities and adventures for an unforgettable vacation. 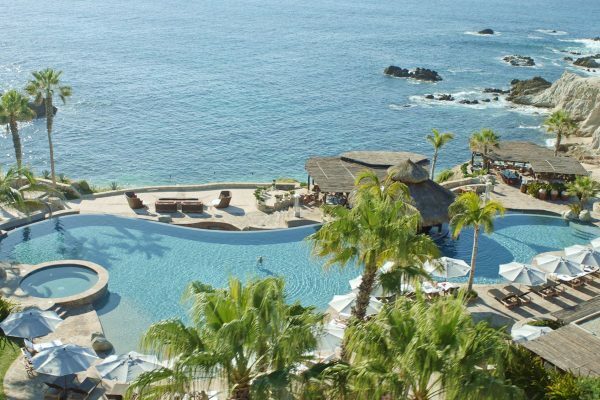 Explore the ocean and experience the annual whale migration. 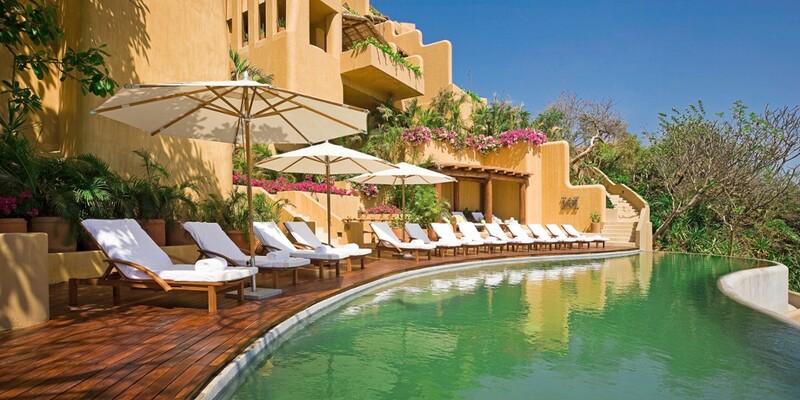 Relax on the pristine beach, Playa el Palmar or take in a game of golf. 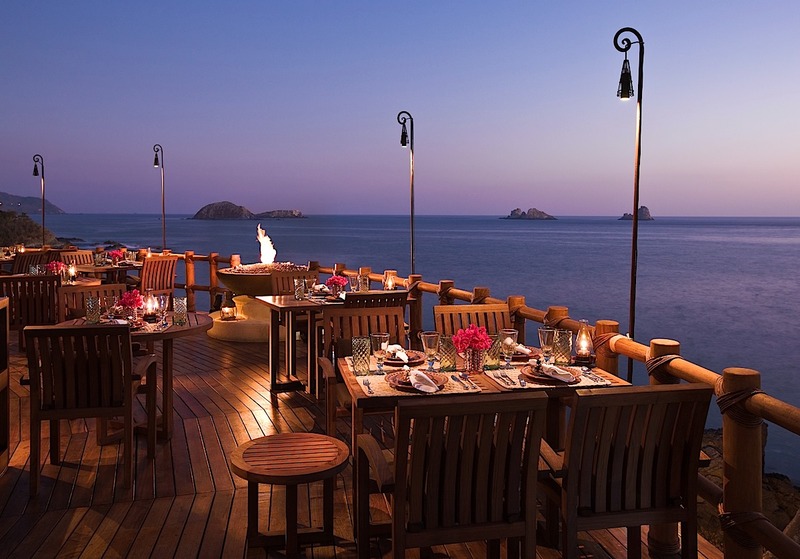 Arrange a private dinner or sail around Ixtapa in style. 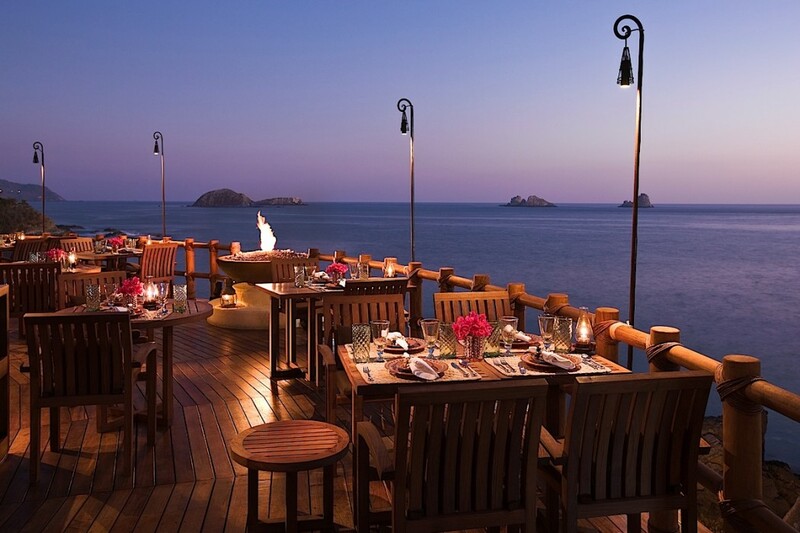 From dining and shopping, to easy exploration of the natural environment, Capella Ixtapa puts you at the center of a private, inviting world. 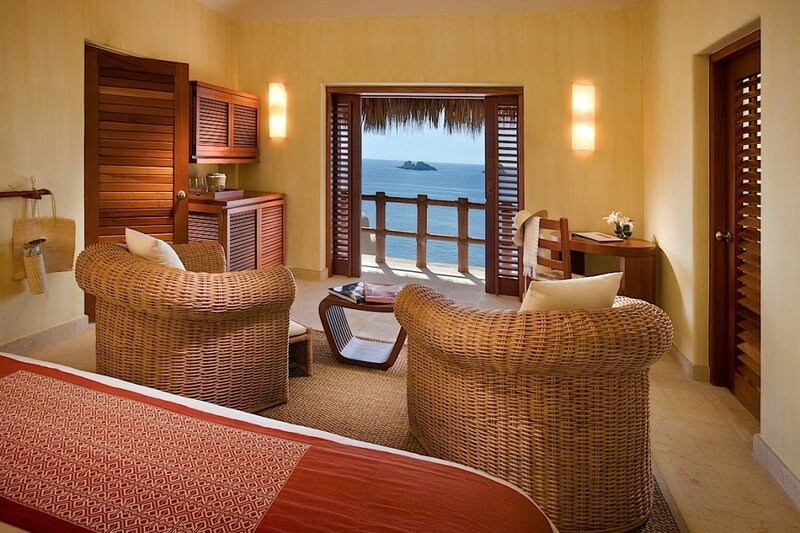 Just contact your personal assistant to discover it all on your Ixtapa, Mexico resort vacation. 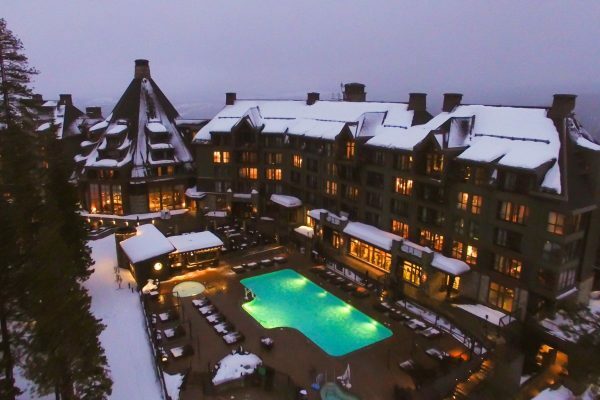 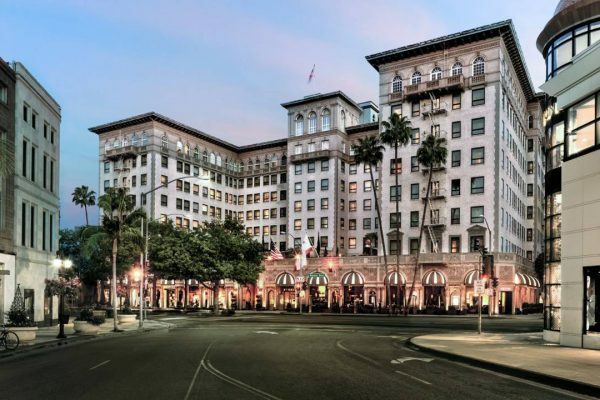 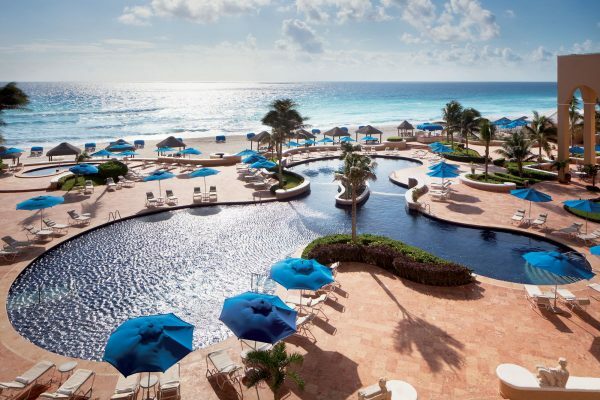 Other facilities are: Babysitting, Business Center, Concierge, Dry Cleaning / Laundry Service, Gym, Meeting Room, a 6,000-square-foot spa with six treatment rooms, a fitness center and salon, Water Sport. 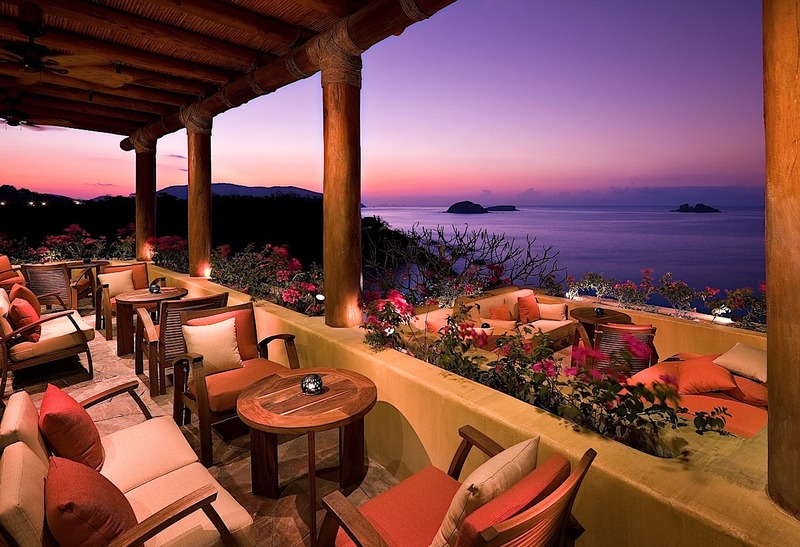 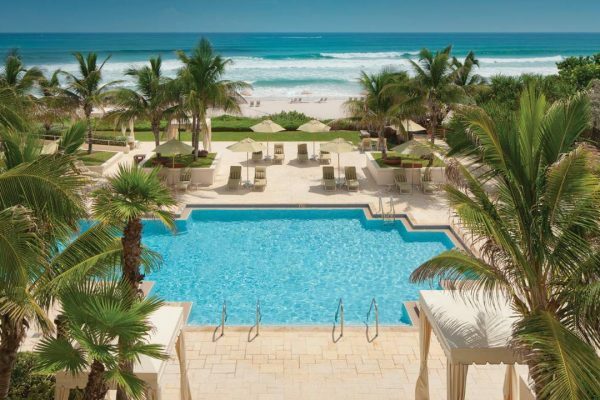 Dining: The resort has three restaurants—including A Mares, with excellent modern Mexican cuisine. Outstanding, everything from location to service to food quality. 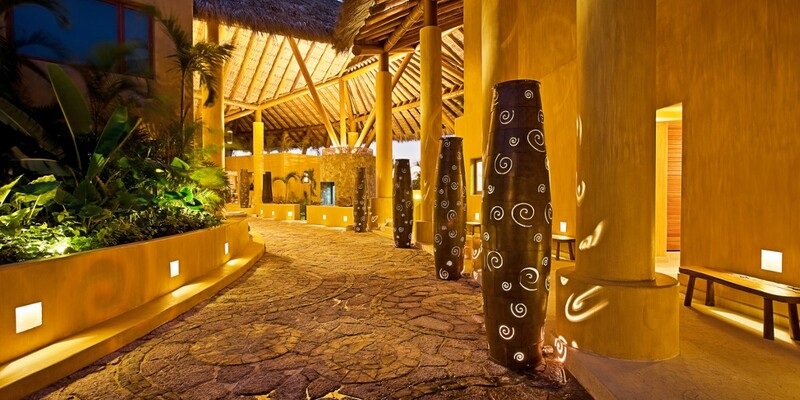 The hotel is just 20 min away from the nearest airport (ZIH). 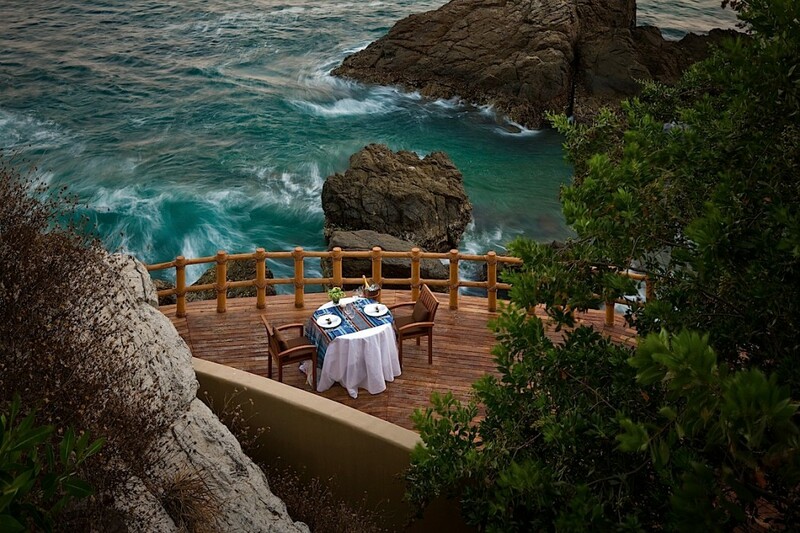 The dramatic rock formations on the horizon took our breath away. 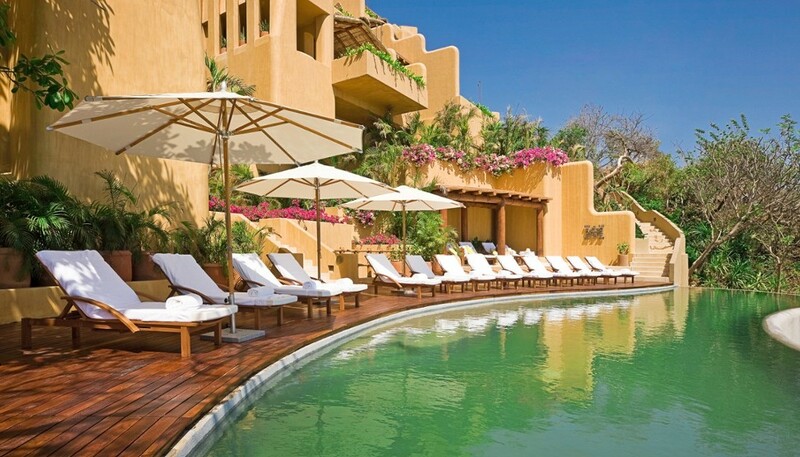 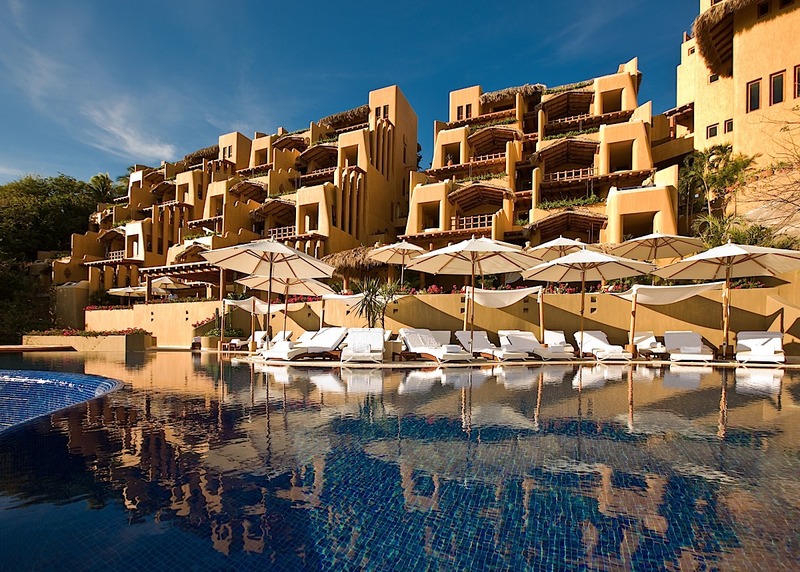 Overall, we would highly recommend the Ixtapa Capella Resort. 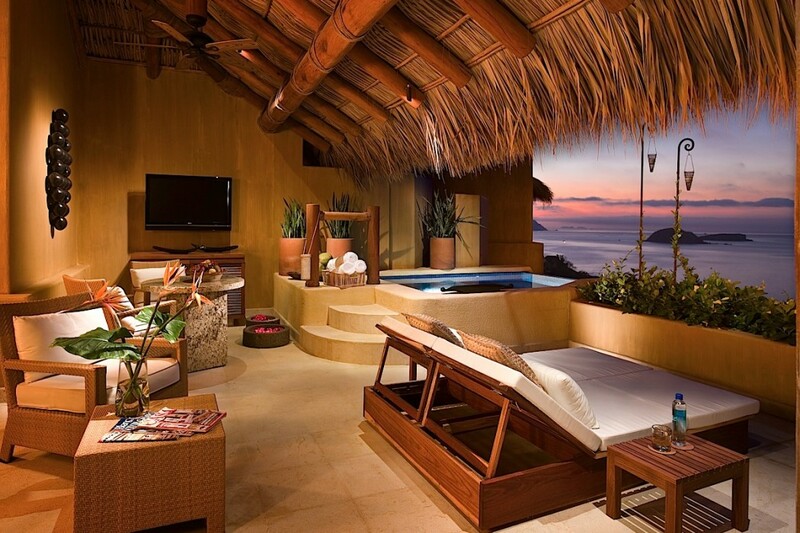 Excellent spot.